One way to keep them together. The pace, complexity, and unpredictability of the hospital environment cause care team members to multitask and reprioritize constantly. 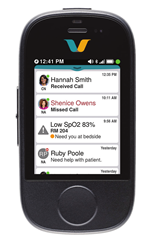 Care teams need to field multiple interruptions and shifting variables in real time while still delivering the best possible patient care. 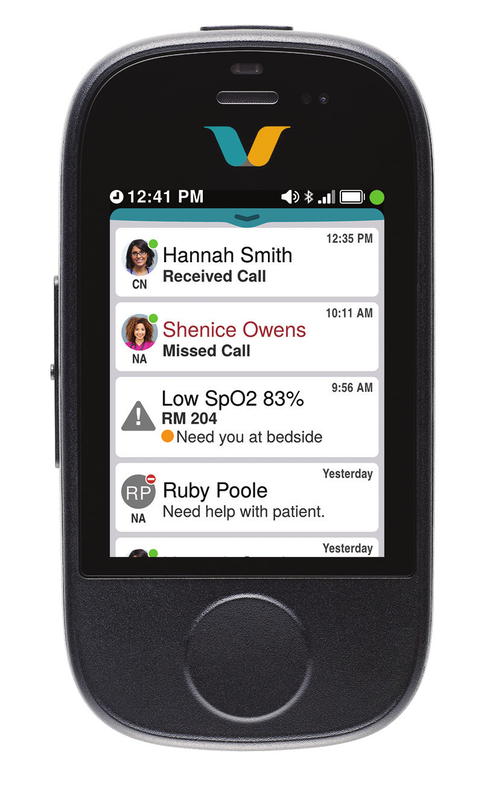 They need tools that help them to identify priorities, access information, and communicate effectively – yet allow them to keep both hands free so they can communicate and access and share information without interrupting patient care. It’s often impractical and inefficient for clinicians to manage a smartphone when providing hands-on patient care. Imagine neonatologists and nurses caring for sick babies in a closed unit: Both hands are engaged with tiny patients and infection control is paramount. The need to communicate across obstructed lines of sight means stopping to use a phone and then washing their hands – yet again – before care can continue. Now imagine a hundred such moments for those nurses and doctors, every day.